Alec Nguyen was born in Hue, Vietnam, and immigrated to the United States as a child. Raised in Wichita, Kansas, he attended Wichita West High School and graduated valedictorian of his class in 1992. He graduated as a member of the class of 1996 from Yale University with a Bachelor of Arts degree. After college, he worked as a legal assistant for the New York law firm of Skadden, Arps, Meagher & Flom, LLP, before attending law school. Alec Nguyen attended Washburn University School of Law and received a Doctor of Law degree in 2001. During law school, he gained invaluable legal experience working for the Kansas Insurance Department (1998-2000) and the Kansas Corporation Commission (2000-2001). 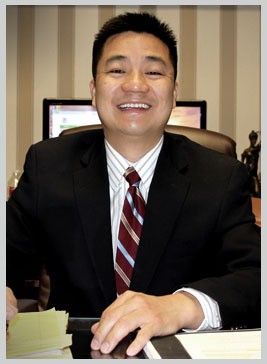 Upon graduation, Mr. Nguyen worked as an associate at the Wichita law firm of Martin, Pringle, Oliver & Bauer, LLP from 2001 -2003 until he founded Nguyen Law Offices, LLC. Alec Nguyen is known for the personalized attention he gives each client. His knowledge of the law, legal skills, and amicable manner put clients at ease. His commitment to staying up-to-date on the latest developments in the law helps him attain exceptional results for his clients. In order to accomplish these goals for our clients, he continues to attend continuing legal education (CLE) programs relating to the firm's practice areas. 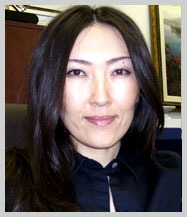 Anu Gansukh has been working as a legal assistant at Nguyen Law Offices, LLC since 2011. She holds a bachelor degree in social science. In her spare time, she enjoys spending time with friends and family and travelling. 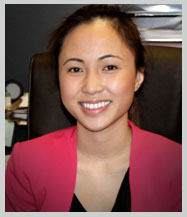 Lan Tran has been working for Nguyen Law Offices, LLC as a legal assistant since 2009. She graduated from Wichita State University with a bachelor degree in business. Lan's passion includes playing with her nieces and nephews and participating/leading in church activities. She is a member of St. Anthony parish.